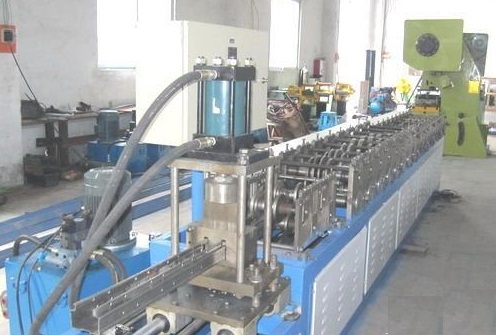 Product categories of Racking Roll Forming Machine, we are specialized manufacturers from China, Racking Roll Forming Machine, Storage Rack Roll Forming Machine suppliers/factory, wholesale high-quality products of Racking Frame Roll Forming Machine R & D and manufacturing, we have the perfect after-sales service and technical support. Look forward to your cooperation! 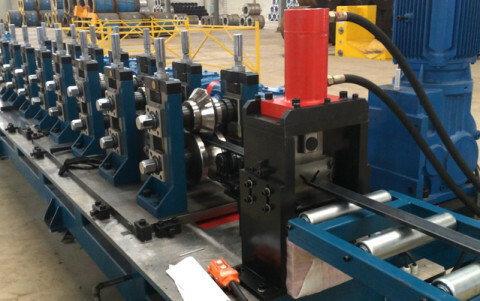 Racking Roll Forming Machine is a kind of equipment mainly for making rack for supporting supermarket shelf, Storage Rack, Ware House Rack and others.The Racking Roll Forming Machine have other name: storage rack roll formign machine, it adopts track cutting technology to ensure the machine capactiy and gear box transmission and ensure the machine's rigidity and working strength.This Racking Roll Forming Machine adopts servo controlled material feeding technology for complex punching to guarantee precision.Except them,we also provid Dust Shield Forming Machine,Pallet Rack Roll Forming Machine,Unistrut Forming Machine.